Need some warm weather training? Whether you’re preparing for your racing season, gearing up for a sportive or just want a few days of leisure cycling in the sun then Costa Daurada, south of Catalonia (Spain), is the perfect location. 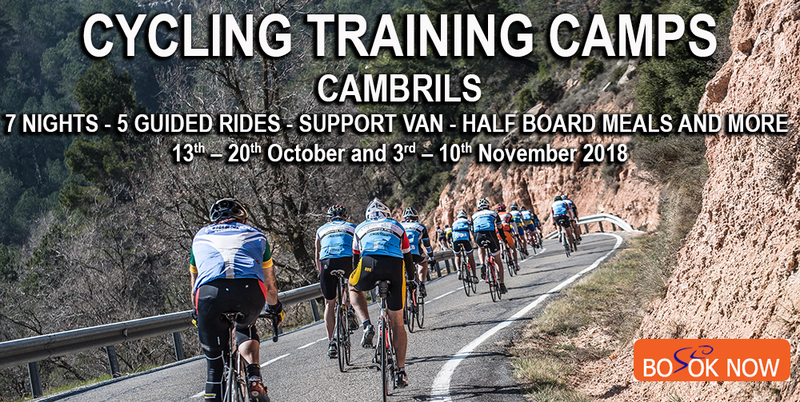 We offer training camps with the exclusive services of our local representatives so you can feel like a professional cyclist. Our locally based technical staff will help you improve your performance and can advise you on what you need. Local roads have very little traffic and are in very good condition. The region enjoys good weather most of the year and you’ll enjoy the spectacular natural landscape that characterises Costa Daurada. Saturday: Fly Dublin to Barcelona. Saturday: check out and farewell gift. Design of the training routes adapted to the needs of the group. Vehicle assistance and support on routes. Mechanical service en route and post route (parts not included). Excludes flights – prices start as low as €85 return. These can vary depending on availability. Prices during peak dates can be as high as €200 return. Early booking recommended.